We hear a lot today about “tolerance.” Tolerance has become a buzzword in newscasts, entertainment, educational institutions, and casual conversation. You can hardly open a newspaper or turn on your TV without being confronted with calls for a more tolerant society. The pressure is also on individuals to push the limits of personal tolerance to unprecedented heights. We are conditioned to feel guilty if we do not tolerate the latest fad or social change. But, as with most buzzwords, you cannot simply look in the dictionary to understand how the term is being used. A dictionary definition of tolerance is: a fair, objective, and permissive attitude toward those whose opinions, practices, race, religion, nationality, etc., differ from one’s own; freedom from bigotry. Biblically, the true virtue of tolerance portends showing patience, kindness, longsuffering, and forbearance toward others. However, in today’s politically correct world, we are not deemed tolerant unless we formally and fully endorse practically every alternative lifestyle and worldview. More specifically, the postmodern definition of tolerance says it’s OK to hold any opinion or belief you like, but above all, if you want to be thought of as tolerant today, you must never, ever, even suggest that one belief system is universally true and morally binding on everyone—especially if you do so on moral or biblical grounds! The idea that you are right and everyone else is wrong is classified as a form of mental illness by some professors. If you were to be so bold as to express your thoughts, you may even be accused of “hate speech”! In our egalitarian society today, the “new tolerance” proclaims that all opinions are equal and that there is no hierarchy of truth—all truth is relative. The new tolerance says every aberration and abomination must be tolerated. Every form of behavior or misbehavior is to be accepted as “normal.” No matter how divergent or discordant someone’s worldview is, we’re expected to embrace them all and treat them all with equal respect, as if they were uniformly credible and profoundly valuable. Of course, that kind of tolerance doesn’t really exist. Even the most vocal proponents of tolerance have a breaking point. Intimidating labels are hung on those who disagree with the new tolerance. For example, if a Christian does not embrace the tenets of Islam, but loves Muslim people nonetheless, he or she is often called an “Islamophobe.” If a Christian does not embrace gay marriage or gay relationships, but loves gay people nonetheless, he or she is still labeled a “homophobe.” If one does not condone killing a baby in the womb, one is labeled as a “hate-monger” or “anti-choice.” For fear of ridicule, ostracism, or possible lawsuits, most professing Christians cave in and quietly go with the flow of their peers. How would you respond when a coworker labels you “intolerant” for believing Jesus is the only way to God? Would you have an answer (1 Peter 3:15)? If you’d like to see how intolerant this culture really is, take this simple acid test: stand up in any educational, governmental, or even casual forum, and simply declare that the Christian God is the only true God, or that Jesus is the only Savior, or that evolution is a hoax, or that you believe abortion, homosexuality, and statues of divinity are idolatry, and you will soon see how tolerant those around you really are. You will receive scoffs, derision, and perhaps even a death threat here and there! You will be labeled intolerant, hateful, and divisive. In short, the new tolerance is not really tolerance at all. It is dogmatically intolerant of all universal truth claims. That’s because absolute truth cannot exist in any egalitarian society where all ideas are deemed equally valid. To achieve this new standard of tolerance, every significant distinction between truth and error must be diminished or erased. Virtually anything can now be claimed to be true, as long as it doesn’t profess to be exclusively or universally true. 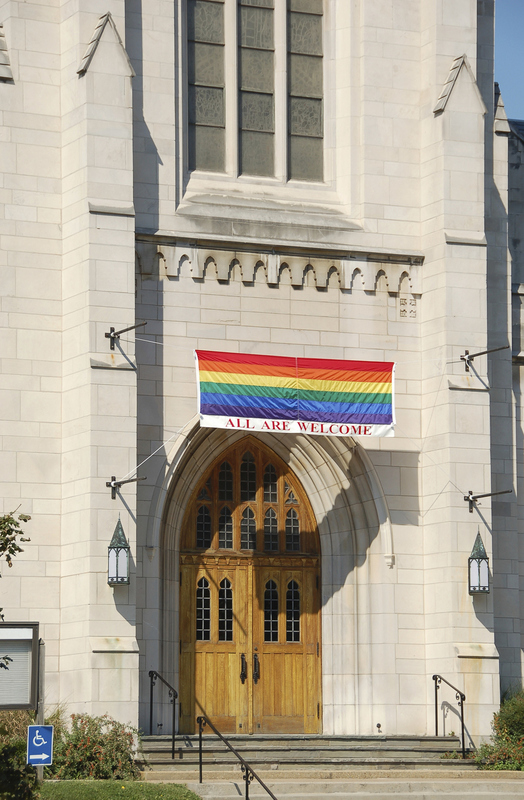 Sadly, this new definition of tolerance has even taken root in the church. The symptoms are impossible to miss. Too often, if church leaders come to a “new understanding” of the fourth commandment and tell their congregations they are free to keep Sunday for the seventh-day Sabbath, most will comply with nary a whimper. If they are told Christmas, Easter, and other pagan holidays are not really pagan, or that “just because the pagans did it does not mean they are wrong,” or, “everybody else is doing it,” and “all these people can’t be wrong,” all too many will docilely go along with the crowd (Luke 6:39). Jesus Himself is the One who said that He is the only way to the Father (John 6:44, 65). For Christians to say there are other ways to find peace with God or enter the Kingdom of God, is to bear false testimony. In one sweeping statement, Jesus discards all other religions as a means of finding forgiveness of sins. This agrees with other Scriptures: “Neither is there salvation in any other: for there is no other name under heaven given among men, whereby we must be saved” (Acts 4:12); and “For there is one God, and one mediator between God and men, the man Christ Jesus” (1 Timothy 2:5). Instead of proving all things by their own Bible (1 Thessalonians 5:21), it is easier and more “chic” to scour the theological landscape for second, third, and fourth opinions. Like “cafeteria Christians,” they thoughtlessly pick and choose what pleases them most. They show little, if any, interest in defending God’s Truth (John 17:17)—they’re satisfied to let Truth co-mingle with error in the name of tolerance and a fabricated standard of politeness. As a result, many professing Christians (including many Christian leaders who ought to know better) are either fearful, tired, or have given up the battle in contending earnestly for the Truth once delivered to the saints (Jude 3). It may be appear to be intellectual to scour the Internet for contrasting opinions and interpretations, but to take a serious stand for ultimate truth is just “too much work.” The emphasis on tolerance simply won’t allow for a spirited defense of God’s Truth. Why, somebody may claim to be “offended,” thus cancelling out the Truth! It doesn’t seem “nice” to refute error in plain language, so they focus instead on the slivers of comfortable, common ground that every side can affirm. Alas! Their Christian armor has turned to rust (Ephesians 6:15–18)! Ask yourself this question: Is this the kind of loose grip on biblical truth that God expects from His people? Should such an elective and politically correct approach be used to interpret and teach Scripture? The answer, of course, is a resounding “No!” Again, what would Jesus say? Outside the firm foundation of God’s Word, there is no real assurance of salvation, no true victory over sin, and no hope of being in God’s kingdom. So how do we respond to that trend? We need to follow the pattern Christ exemplified throughout His ministry. He did not engage in endless conversations about subjective interpretations of Scripture or agree to disagree on foundational doctrines. He did not get hung up in trivial “What if?” questions or debates. He didn’t give equal time to every spurious teacher that came along or try to find common ground with theological opponents. Simply put, Jesus did not tolerate false teaching. And, being a follower of Jesus, we shouldn’t either. This does not mean Jesus was intolerant—He was the very model of tolerance. If one will but study the Gospels, he or she will find that Jesus’ tolerance was exemplified in His patience and compassion for people—not leniency toward sin, wrong beliefs, and doctrinal error. He ministered to all kinds of people, with no regard for social standing or wealth. He brought the same truth to the religious and political elite as He did to beggars, the lame, the deaf, and social outcasts. His kindness, patience, and tolerance toward the poor, the humble, and suppressed sinners was never-ending. However, Jesus did not extend that same patience to hypocrites, liars, and false teachers. It did not matter if it was the pious double standard of the Pharisees or the demonic lies of a possessed man— Christ did not tolerate the corruption of sound biblical truth. He had absolutely no tolerance for the hypocritical Pharisees’ brand of religion—especially their preference for human traditions over the Word of God. See in your own Bible how Christ confronted the scribes and Pharisees in Matthew 23! When faced with false teaching and religious error, He was swift to correct. He was eloquent, but never arrogant. He was forceful, but never unloving. When declaring truth or refuting false teaching, He was firm and uncompromising, but always gracious. In fact, Christ’s example makes it clear that correcting error is one of the most loving acts you can do. Satan’s strategy is to confuse, deny, and corrupt the Truth with as much error as possible. “And no marvel; for Satan himself is transformed into an angel of light. Therefore it is no great thing if his ministers also be transformed as the ministers of righteousness; whose end shall be according to their works” (2 Corinthians 11:14–15). “But if our gospel be hid, it is hid to them that are [being] lost: In whom the god of this world [Satan the devil] hath blinded the minds of them which believe not, lest the light of the glorious gospel of Christ, who is the image of God, should shine unto them” (2 Corinthians 4:3-4). Has he been successful? See what God’s Word says: “And the great dragon was cast out, that old serpent, called the Devil, and Satan, which deceiveth the whole world: he was cast out into the earth, and his angels were cast out with him” (Revelation 12:9). Request our free booklet, Devil, You Say? for more details. Christ’s ministry lays out a perfect example of how believers today need to confront and correct false teaching. There is nothing wrong with asking, “What would Jesus do?” The problem with asking that question is that most people do not know Jesus well enough to know what He would do! These days, Jesus is usually portrayed as a pacifist, a kind healer, or a docile teacher, striking an effeminate—almost pathetic—pose in people’s minds. (Hollywood has never gotten it right!) Unless we study the Book, the Holy Bible, we tend to remake and refashion Him into a god of our own distorted imagination, which is idolatry. While Jesus was perfect in love, kindness, and compassion, that’s not the whole story. When faced with religious leaders teaching false doctrine, He did not seek conversation, common ground, or peaceful resolution. He did not compromise. He confronted. He bluntly exposed the errors, lies, and hypocrisy. Contrary to what some would have us think, that was not “hate speech.” He pointedly refused to contribute to the spirit of spiritual unity and ecumenism with false teachers. He was very intolerant of false teachers, of pride, rebellion, sin, covetousness, adultery, lying, cheating, stealing, fornicating, and murder. He was intolerant of husbands treating their wives poorly. He was intolerant of pain and suffering. Of false gods, or religious hypocrisy, and bigotry. Of false teachers and false gospels (Galatians 1:8–9). He demonstrated that in certain situations, it’s not OK to “be nice”—but take a stand for the truth! Are we to suppose Christ will tolerate “all” religions in His Kingdom after His return? What did He say? “Not every one that saith unto me, Lord, Lord, shall enter into the kingdom of heaven; but he that doeth the will of my Father which is in heaven. Many will say to me in that day, Lord, Lord, have we not prophesied in thy name? And in thy name have cast out devils? And in thy name done many wonderful works? And then will I profess unto them, I never knew you: depart from me, ye that work iniquity” (Matthew 7:21–23). He added, “And why call ye me, Lord, Lord, and do not the things which I say” (Luke 6:46)? In other words, Jesus wouldn’t be welcomed in most Jewish, evangelical, Protestant, or Catholic circles today. His bold methods of dealing with error are foreign to today’s churches. We need to follow Jesus’ ministry from beginning to end, seeing what was behind His many confrontations with pious enemies of the Gospel and truth. Along the way, you’ll find how to be equipped to don the Christian armor and fight the same good fight today (Ephesians 6:10–18). Be sure to request our free booklet, How to Be a Real Christian. Truth is, by nature, intolerant of falsehood. They are direct opposites! Attacks against the truth take many different forms. Satan’s strategy is to confuse, deny, and corrupt the truth with as much error and confusion as possible. Has he been successful? See what God’s Word says: “And the great dragon was cast out, that old serpent, called the Devil, and Satan, which deceiveth the whole world: he was cast out into the earth, and his angels were cast out with him” (Revelation 12:9). Yes, true Christianity is intolerant of these things. Why? Because its founder, Jesus, was intolerant of them. He confronted heresy! If what you believe isn’t true, wouldn’t you want to know? We are to put on the very mind of Christ (Philippians 2:5). We are to love what He loves and hate what He hates (Proverbs 6:16–19). Truth must not be sacrificed at the altar of bogus “tolerance”! The bottom line is that Christianity is only as “intolerant” as Jesus is true. What gives us the right to be right? God’s Word does! Matthew 4:4 says, “’Man shall not live by bread alone, but by every word that proceedeth out of the mouth of God.” The Bible is the very essence of Truth (Psalm 119:151–152, 160; John 17:17). It was true from the beginning and always will be. Back to the question: “Are you an intolerant Christian?” The answer is easy: Yes… and no. We are to be tolerant of those things Christ is tolerant of—and intolerant of those things Christ is not tolerant of! And that, my friends, is the way it ought to be. Now, wasn’t that easy?